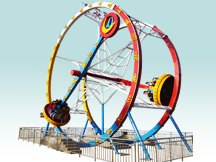 We provide foundation design before shipping,or let our engineers to install the ferris wheel for you. 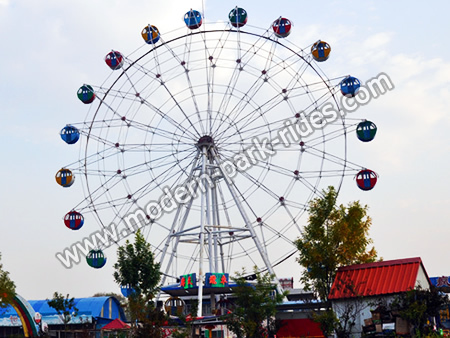 Ferris wheel ride is handsome in appearance, which is one of the important equipment in amusement park rides, also it represent the modern construction scale of amusement park. 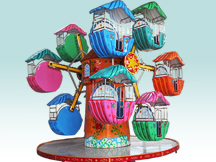 Ferris wheel ride body are composed by two big wheels, which are placed in column bracket, looking from a distance, it looks like colourful huge wheel. The cabinets are installed on the verge. Ferris wheel ride is vertical to ground. The total height is (10m-80m) from the ground (8-64) cabinets are arrived around the turntable, and one closet can hold 4 persons. 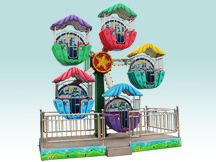 The wheel is driven by electric control system. Tourist goes higher with the wheel turns. In the closet, Tourists can enjoy the scene from high.